The value of diagnostics lies in their accuracy. If an assay is compromised and does not yield an accurate result, it’s not useful. Thus, it is crucial to ensure testing conditions are ideal to maintain the integrity of assay results and ensure no outside factors besides the independent variable being tested affect an assay. 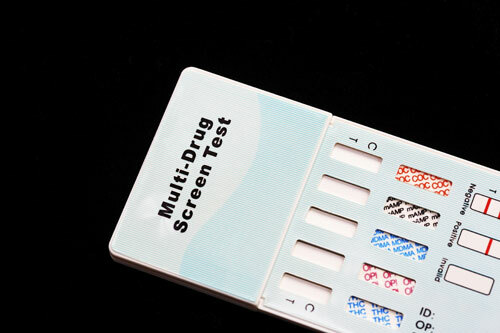 Whether an in vitro assay is conducted by a patient at the point of care or by lab technicians in a clinical diagnostic setting, it is important to ensure not only that outside influencers do not contaminate testing samples, but also that the diagnostic device components themselves are not liable to disrupt the accuracy of a test. Something as simple as the adhesive used to bind diagnostic testing components together could compromise test results if the adhesive is not chosen carefully. Diagnostic device manufacturers must be aware of how component choice during manufacture might affect the end use of an assay. It may be prudent for them to consider 100% solids coating, a process that ensures the purity of adhesives, to avoid the potential of adhesives interfering with the functionality of diagnostic equipment. New advances in 100% solids adhesive technology now offer adhesion performance equal to that of traditional solvent adhesives. They're also inert and cleaner than solvent-based adhesives. The in vitro medical diagnostic market relies heavily on pressure-sensitive adhesive (PSA) laminates for the assembly of diagnostic testing parts. PSAs are a convenient means of holding components together because they can be sized to fit practically any application and tweaked to exhibit properties that make them compelling for a variety of uses. Examples of in vitro diagnostic devices that rely on PSAs to maintain structural integrity include lateral flow, microfluidic, microarray/microchip, urinalysis, and many other testing types. 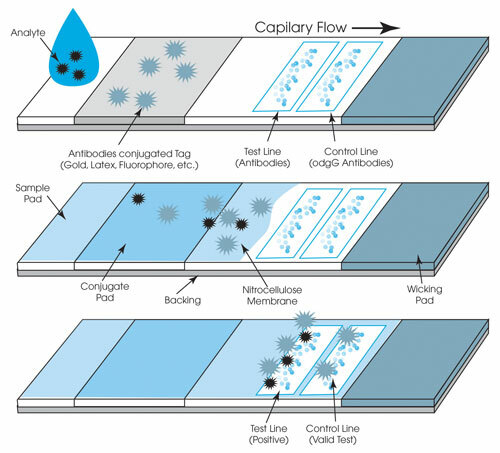 In an application as seemingly simple as lateral flow/immunochromatographic assays, for example, PSAs might be used to bond pads, membranes, and cartridge components, as well as be used in labeling. Lateral flow applications demand adhesives that can stand up to a range of pH levels and exhibit the proper hydrophobic or hydrophilic properties. Chemical inertia. No residual monomers can exist as a result of formulation or coating processes that might compromise assay results. Lack of outgassing. Any migration of volatile organic chemicals (VOCs) or other compounds from an adhesive could also undermine test accuracy. Chemical stability over a range of environmental conditions. Assays may require exposure to extreme temperatures, UV light, or other conditions that could damage certain adhesives. Tight thickness tolerances. Assay results may depend on precise measurements, and variance in thickness could raise problems. Optical or spectral properties. 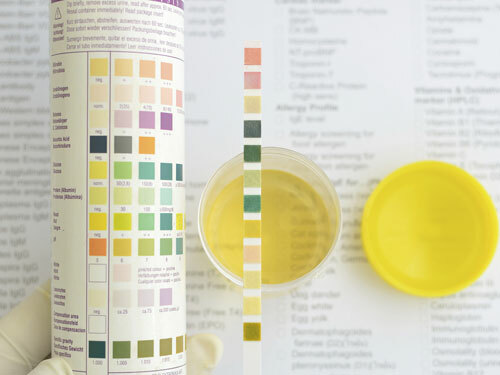 Adhesives may need to be optically clear to avoid skewing test results that are color dependent, such as urinalysis. Electrical conductivity properties. Depending on the assay, electrical conductivity may be necessary or problematic, and adhesives must function accordingly. Hydrophilic or hydrophobic properties. Some in vitro diagnostic applications require certain amounts of liquid absorption, and an adhesive must not interfere with this. High quality control during manufacture. Because of the levels of accuracy needed in conjunction with assays, quality is of the utmost concern in these applications. The creation of PSAs for diagnostic equipment must be very carefully controlled, from selection of raw materials to formulation to coating. Even though coating of an adhesive onto a substrate happens after the adhesive has been formulated, there is risk at this stage of compromising the accuracy of an assay based on the process by which adhesives are often coated onto substrates. Solvent coating, specifically, has been a dominant means of coating in the medical industry for many years, and solvent-coated silicone, acrylic, and rubber-based adhesives are widely used in medical device manufacturing. For diagnostic device manufacturing, this process can be problematic. Solvents may contain VOCs and even carcinogens, and there are major concerns regarding outgassing or leaching from solvent-coated adhesives used in medical settings. Some of these substances can be dangerous when used in in vivo medical settings or threaten the validity of assay results in in vitro environments. Alternatively, water-coated, or emulsion, adhesives may not meet the latex-free requirements of some medical device applications. A compelling alternative to these coating techniques—especially in the face of tightening restrictions on the use of solvents in some cases—does exist for medical diagnostic manufacturing. A technique called 100% solids coating allows for the use of 100% neat adhesive components in coatings—no water or solvents are required. Raw polymeric materials are brought together in a continuous process during coating and applied in a thin, consistent, uniform layer onto substrates at or slightly above room temperature. They are then crosslinked and cured via high-energy beams to meet a desirable molecular weight. The result is an adhesive composed entirely of key adhesive components, unlike a solution-based adhesive that is only composed of 30–60% solids. Solvent acrylic adhesives are inherently expensive to produce, and 100% solids coating can offer a cost advantage. Unlike coating methods that rely on solvents or water, there is no slow, messy drying required to cure the adhesives. Because of this lack of required drying and cleanup, 100% solids coating offers manufacturers the option to boost processing speeds for more effective production and to decrease costs associated with the energy consumption of drying ovens and solution cleanup. Typical solvent coating is done at speeds between 35 and 100 ft/min. Because there is no need for drying, 100% solids coating can run at speeds between 150 and 1500 ft/min, depending on the construction. Between raw materials and process, savings can range from 30–60% when compared with competing technologies. Given the current pressure on the medical industry to reduce the cost of patient care, these economic benefits are especially timely to consider. Inertness (will not interfere with assay chemistries, reactions, or culturing). Low outgassing due to the absence of residual monomers, inhibitors, or stabilizers, thanks to extractors used during processing that strip impurities from the adhesive. Resistance to temperature, chemicals, moisture, and pH levels ranging from 4–13. Ability to be tailored to exhibit desired levels of hydrophilic or hydrophobic performance. Ability to be coated in weights that are strictly controlled. The precise coating levels, inertness, and low outgassing inherent to 100% solids coated adhesives are important to ensuring medical device function. Because a handful of raw materials can yield a practically infinite number of PSA formulations, adhesives can be tailored to application needs, so that when coated via 100% solids technology, they exhibit the precise functionality desired. Acrylic adhesives that have been 100% solids coated rarely require the use of tackifier resins or plasticizers. These adhesives combine the best properties of emulsion- and solvent-coated adhesives but avoid most of the disadvantages associated with these methods, such as the high cost of raw materials, excessive energy consumption, environmental concerns, outgassing, and material shortages, among others. Because it requires a substantial investment in technology, not every adhesives manufacturer offers 100% solids coating. When selecting an adhesives provider, consider their coating capabilities, among other things. This technology requires turning a high molecular weight, viscoelastic solid of nearly infinite viscosity into a consistent, uniform coating, and highly specialized, expensive equipment is required to make that possible. Furthermore, it is not safe to assume that any adhesives provider possesses 100% solids coating capabilities. In evaluating suppliers, ask not only whether the company offers 100% solids coating, but also how much experience the supplier has with the technology, as there is often little room for error in the field of medical diagnostics. Ensure the supplier has made the proper investments in infrastructure, human capital, and knowledge to master this technology and that it has the wide-web, extrusion, and high-speed processing capabilities to make 100% solids desirable from an economic standpoint. Remember, too, that coating is only one step in the process of adhesive creation. Medical diagnostic equipment manufacturers should consider the formulation and compounding capabilities of adhesives suppliers, as well ensure adhesives will demonstrate all the physical performance criteria required in an end-use diagnostic application. Design expertise is also a desirable trait in an adhesives partner, as the precision of construction that goes into some diagnostic components requires specialized attention deliverable via specialized statistical design software. It is also prudent to consider suppliers’ security of supply, as raw material supply interruptions can cause costly delays. Most importantly, seek out an adhesives supplier that is willing to collaborate regarding the best way to suit the needs of your application and who is willing to offer advice based on its specialized knowledge of adhesive creation. With a partner that possesses the right capabilities, knowledge, and attitude, diagnostics manufacturers can focus on their core competency: providing diagnostic devices that deliver accurate results. Steve Schroff is senior development chemist at MACtac Medical Products (Stow, OH), where he is responsible for supervising the technical aspects that bring new products to the medical market. Schroff’s areas of expertise include material science and a focus on the raw materials used in medical applications, the formulation of adhesives, coatings, and silicone releases, as well as developing materials from sourced material. He earned a bachelor’s degree in chemistry from Thiel College and has been working in the medical adhesive industry for 13 years. Reach him at [email protected].